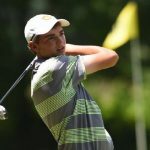 Golf at Birmingham offers a fantastic opportunity to play some of the best courses in the country. Birmingham is home to some stunning scenic courses that will guarantee you an enjoyable round of golf. Calderfields Golf & Country Club prides in offering a superb venue with the highest standards of customer service. 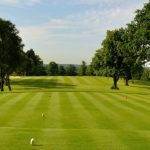 They receive rave reviews throughout the season regarding the golf course and their Head Green Keeper here at Calderfields Hotel, Golf & Country Club delivers superb greens and a very well presented 18 hole course for all golfers. Adventure Island Mini Golf England is the first Indoor Adventure Golf Complex featuring 2 brand-new themed 18-hole courses! It is located indoors on our own lush tropical ‘adventure island’ at Star City, Birmingham. 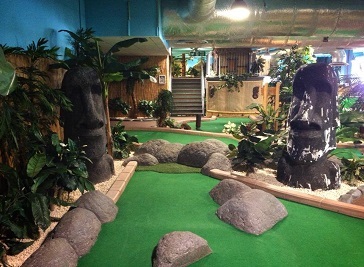 The courses have been built across 3 levels and wind past palm trees and volcanoes, through caves, behind waterfalls and through Tiki Villages providing a fantastic and fun leisure experience for all.